Nobel 15W/40 Diesel engine oil helps to protect against the build-up of piston deposits forcontinuing engine efficiency. Nobel 15W/40 Diesel engine oil is a proven choice for the minimization of high carbon deposits which is by far the most concerned issue for today’s heavily modern diesel engines. 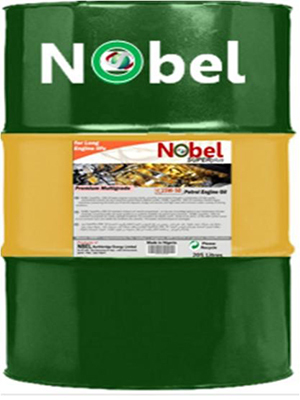 Nobel 15W/40 Diesel engine oil has been formulated using new generation high performance base oil and the most recent additives technology to meet the latest CI-4 performance requirements. They provides optimum protection and control of corrosion, oil thickening due to soot build up, piston deposits, oxidation, sludge build up and high temperature stability.